Last week I wrote about the time I’d just spent at Bread Loaf working with high-school aged writers. 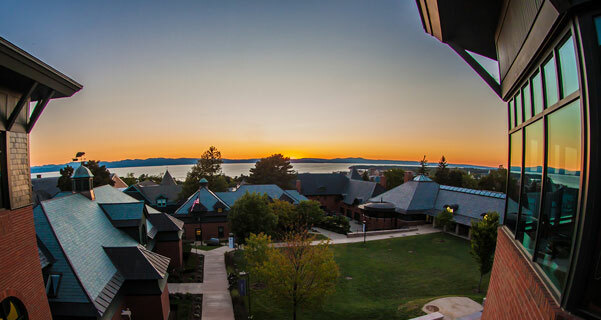 Well, now I’m just back from a similarly awesome event, the Champlain College Young Writers Conference, in beautiful Burlington, Vermont, overlooking Lake Champlain. This was my first time there, so I had to discover how things worked as I went. While extremely busy, it was a little more laid-back than Bread Loaf. (Sometimes that meant easygoing and sometimes it meant confusing.) I saw a bunch of familiar faces from Bread Loaf, both faculty and students, and that gave me a feeling of comfort. There were also quite a few of us newcomers among faculty, including Craig Shaw Gardner, who rode up with me from Boston. As far as I could tell, everyone had a great time. For me, there are three great things that come out of this kind of event: First, the chance to work with incredible kids, whose talents and ambitions both inspire and challenge me. (If any of you guys are reading this, thanks! And that includes the terrific college students who helped us as mentors.) Besides their writing, some of them gave “Moth talks” on real events from their own lives, which were funny, touching, alarming. Their final group presentations were priceless. Second is the opportunity to mix with writers from all sorts of fields—poetry, mainstream fiction, playwriting, nonfiction—whom I would probably never otherwise meet. They feel like valued new friends, even if I only see them once every year or three. The third thing is a little less obvious, and that’s the chance to learn more about teaching. Most of these guys not only write, but teach for their day jobs. They have quivers full of skills that enable them to keep a classroom full of kids interested and engaged. I try to soak up as much as I can, while I can. For example, Linda Urban at Bread Loaf gave me a great group exercise for learning to write dialogue. (I didn’t have time to try it on this round, but next time!) At Champlain, I sat in on a craft session on writing from different points of view. I was in awe of Sarah Braunstein’s command of the group, and the way she got them to experiment with different viewpoints. I’m keeping notes for next year! I also discovered that Phil Baruth is a hell of a pool player, as well as a Vermont state senator. But that was after hours, when I learned that excellent craft beer on draft is a staple in downtown Burlington, and when I for the first time tasted gravy fries. And tasted. And tasted again, just to be sure! P.S. Many thanks to Lesley Wright and Jim Ellefson for inviting me!